The Marshall University Digital Forensics and Information Assurance program will host the 6th annual Cyber Safety Summit for middle-school students and the local community Oct. 23-24 in Huntington. This year’s event will have two sessions. The first will be tailored for middle-school students and will take place from 9 a.m. to 2 p.m., Monday, Oct. 23, at the Big Sandy Superstore Arena. A session for parents and adults will be from 6 to 7 p.m. Tuesday, Oct. 24, at Huntington East Middle School. Participants can learn how to prevent cyber bullying, keep themselves and their families safe online, handle the dangers of social media, keep their information and computers safe, and identify scams. They can also find out how and why criminals target them and more. This event is attended by hundreds of students from the Tri-State region each year. It is sponsored by the Digital Forensics and Information Assurance program, the Huntington Police Department, the FBI and the Appalachian Institute of Digital Evidence. Teachers can register their classes for a field trip to the summit. Reserve seats before Oct. 19 by contacting John Sammons at sammons17@marshall.edu or by calling 304-696-7241. 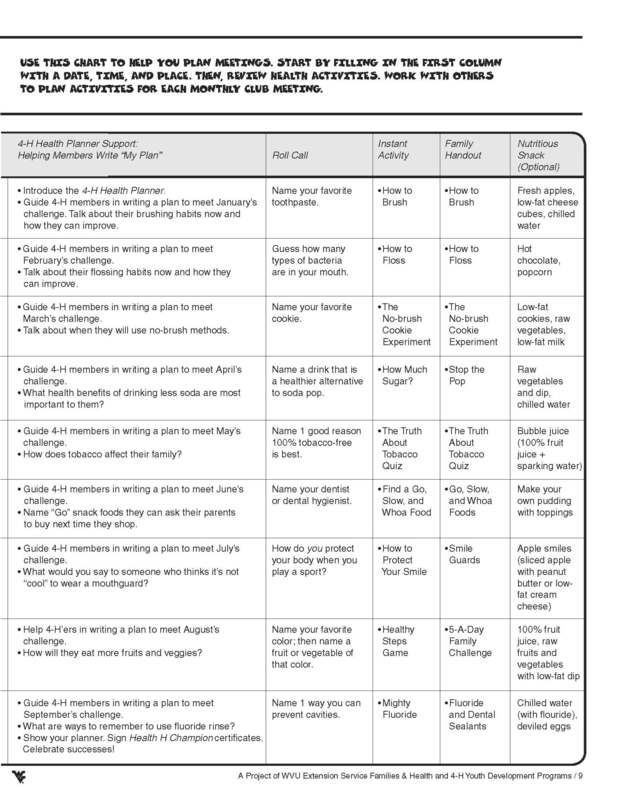 The 4-H Healthy Lifestyles Initiatives has both Dental and Physical Health resources. Family Health Handouts for the program can be found on the website. 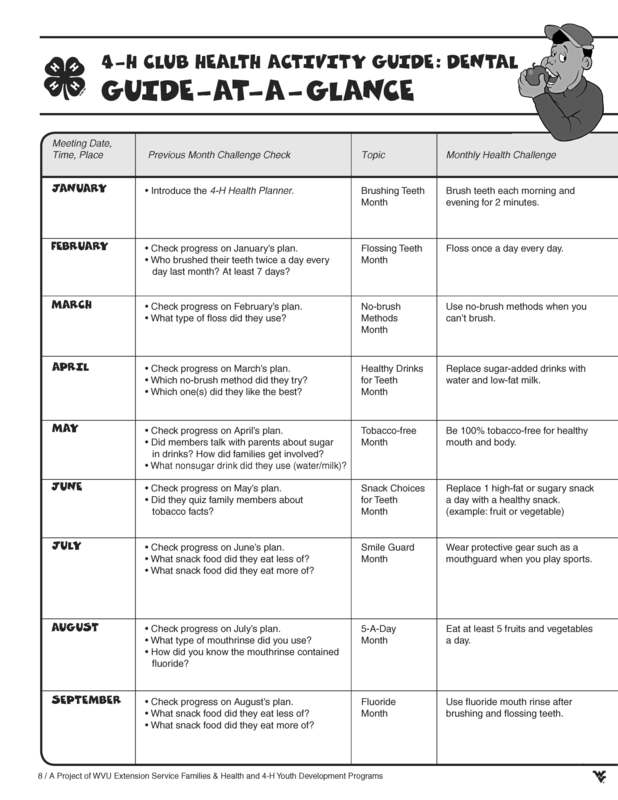 This resource contains monthly activities that families can do together to promote better dental health. In addition, the Cabell County Extension Office still has a limited supply of Dental Health Guides to share with parents, educators, and mentors. For more information, contact the 4-H Agent Autumn Starcher at the Cabell County Extension Office by phone at 304-743-7151 or by email at autumn.starcher@mail.wvu.edu. This is a PDF file of all resources in each of the 8 sectors with active links to websites for each of the resource lists. To access separate listing of resources for each section, go to “Click here to access resources”. Click on Resources list to open a PDF file. It will have website links for all of the resources listed on the screen.